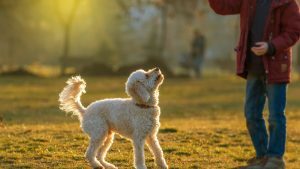 Why Does My Dog: Pull on the Lead? Q My dog pulls on the lead; it’s always tight when we’re out on the walk. It’s as if I’m not there, because he takes no notice of whatever I tell him. Even if I stop I’m hindering his progress to wherever we’re going and sometimes it’s such an awful experience I wonder why I bother to take him out at all. Is there something I can do to make him realise that going for a walk with me is a nice experience? 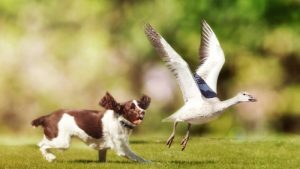 A A tight lead and a tense dog can produce unintended consequences, such as over-excitement and boisterous behaviour or aggression to other dogs or people. Walking a dog on a loose lead is a pleasure, so the lead should be a reasonable length – 3 to 5 feet (1m-1.5m) – and should be sturdy enough to give you the feeling that you have control. Longer leads or flexi-leads should not be used on the walk; it sends out the message that it’s a restraint and doesn’t allow much if any communication between you and the dog. 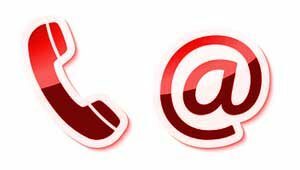 Think of the lead as a means of communication, not just as a means of preventing the dog running away. 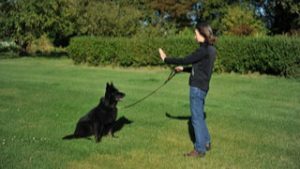 Dogs pull on the lead, because they haven’t been told not to in a manner that they understand especially if you’re tense and anxious. This type of energy betrays your emotion and sends the completely wrong message down the lead. When you decide it’s time for your dog’s walk, from that moment you must take control. A dog that is rushing around, bouncing up and down getting over excited will take that behaviour out with him and immediately you leave your home he takes control. So, be determined to be the decision maker from the outset. Be calm and send the signal to your dog that until he calms too, you are going nowhere. Of course, this may take some time initially and may even result in you not going out at that time; if that’s the case, put the lead away and wait a while before you indicate that it’s time for the walk. It can be very frustrating, but dogs pick up signals – both verbal and body language – very quickly. Just remember that pulling you around on the lead is a learned behaviour, it’s been normal for your dog to do so, but now with a calmer, more confident attitude you, as the leader, will be giving your dog a clear indication that unless he listens and watches you, he’ll not be going out until he realises that you’re the boss, not him. Why Does My Dog: Ignore Me? Q I give my dog everything she needs: love, care, the best food, exercise – she lacks for nothing, yet I feel there’s a missing link. It’s as if she decides not to hear what I tell her and she sometimes chews things like my shoes or chair legs! I just don’t know what more I can do. A Sorry to say so, but it sounds like your dog doesn’t respect you, despite being the provider of everything she needs. Dogs test our limits, treating us as equals and sometimes they are totally perplexed as to what we want of them. We need to be the decision-makers; be decisive and correct unwanted behaviour to enable the dog to have clear guidance. Many dogs are confused by our actions and body language; when they do things we don’t want them to we are often afraid of hurting their feelings, which perpetuates the confusion. We get frustrated, we may shout or get angry, but all this serves to do is perhaps stop the behaviour at the time, not solve the problem. This is the route to long term bad behaviour and the breakdown of communication between us and our dogs. For a dog to adopt good behaviour, manners and respect for us, we must show sound leadership, just like a good manager does in the workplace. Making calm, measured decisions is essential for any company to function at its optimum level; similarly so, we must be calm and confident so that what we do radiates to our dogs. 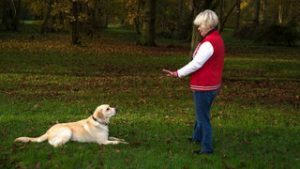 Assertiveness illustrates that we are in control and your dog will thank you for it. Very few dogs want to be leaders, in fact most prefer to follow, similar to the number of employees in relation to employers. There has to be a decision maker in families, companies, government, schools and of course amongst dogs. So as well as providing all your dog’s physical needs, go one step further and provide the missing link, that is, make the decisions so that your dog will feel protected and show that you are trustworthy. Set down some rules and boundaries within your home and relationship. Take the grey areas out of your relationship and I am sure that when she knows exactly what you want she’ll give you the respect that she wants to give you and you deserve. She may love you even more!